Yaxham has a station on the heritage mid norfolk railway line, which runs the 12 miles between Wymondham and Dereham. 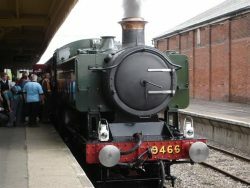 It was closed in the 1960s as part of the Beeching cuts, but was reopened as a passenger service in 1999. Yaxham also has a narrow gauge railway opened in the 1960s.